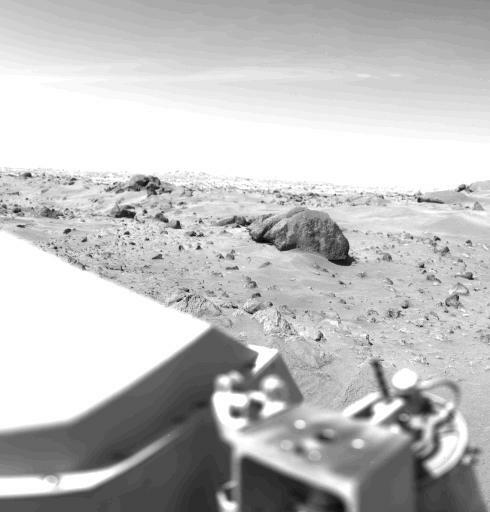 This Mars view looks northeast from Viking 1 and completes the 360 panorama of the landing site begun earlier with the spacecraft's other camera. 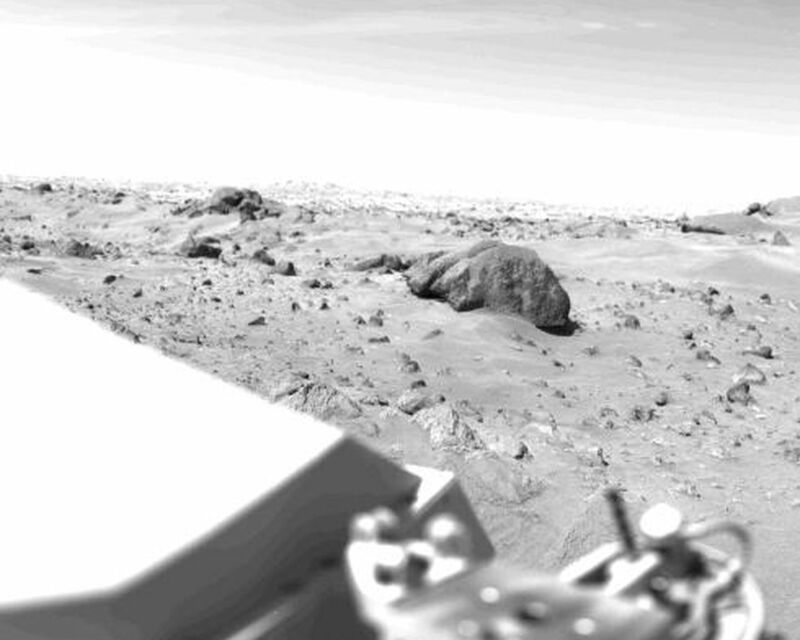 A layer of haze can be seen in the Martian sky. Large dark boulders dominate the scene. The largest boulder (center) is about 3 meters (10 feet) wide and one meter (3 feet) high. 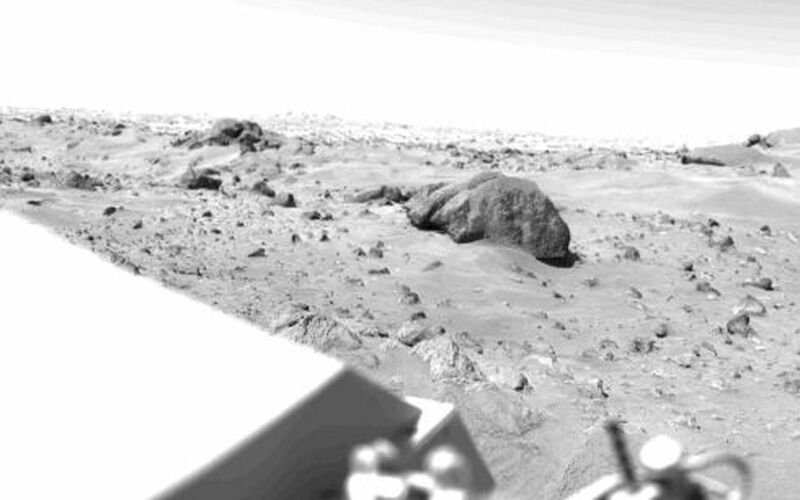 Rocks in the foreground are lighter and appear mottled. 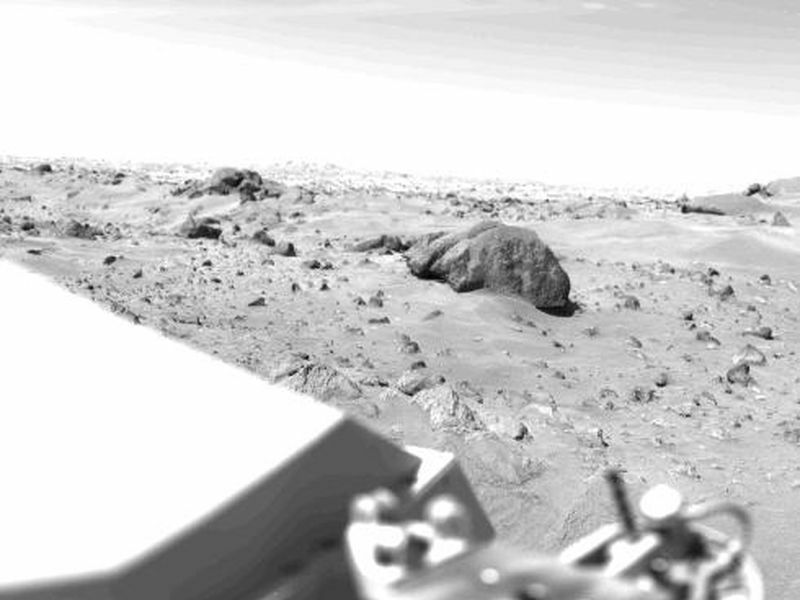 The rocks may have been derived from lava flows or stream deposits which are visible on orbiter images. These deposits may have been redistributed by impact craters. The fine material visible between the rocks has dune morphology and appears to have been deposited by wind.